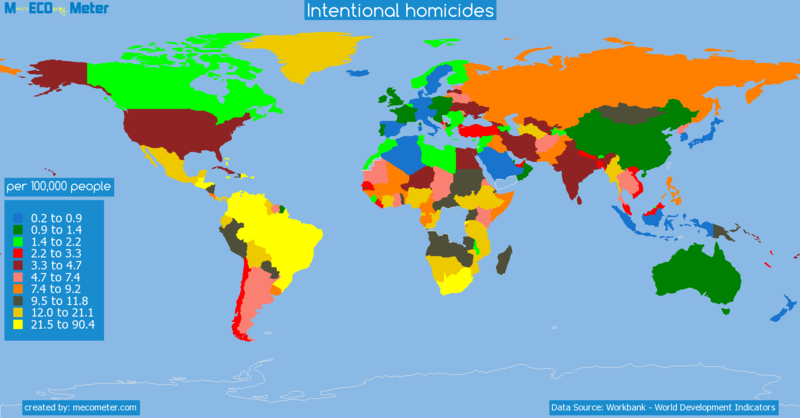 Value & RankThe Intentional homicides of Pakistan is 7.70 (per 100,000 people) with a global rank of 77. 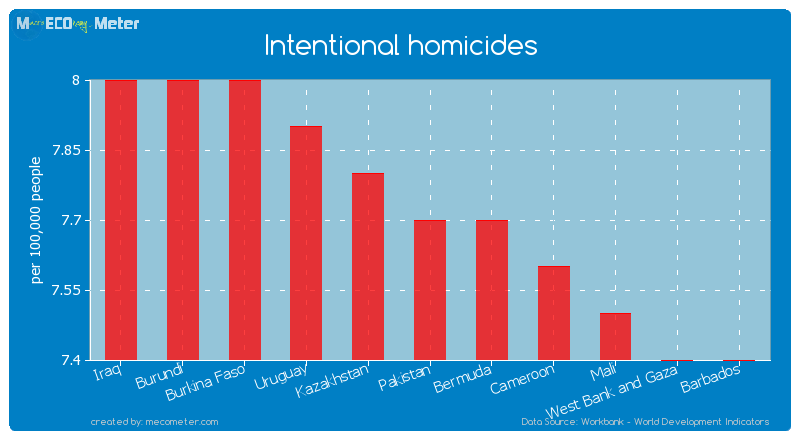 Pakistan compared to other CountriesThe Intentional homicides of Pakistan is similar to that of Iraq, Burundi, Burkina Faso, Uruguay, Kazakhstan, Bermuda, Cameroon, Mali, West Bank and Gaza, Barbados with a respective Intentional homicides of 8.00, 8.00, 8.00, 7.90, 7.80, 7.70, 7.60, 7.50, 7.40, 7.40 (per 100,000 people) and a global rank of 72, 73, 74, 75, 76, 78, 79, 80, 81, 82.10 years growthPakistan's Intentional homicides had a positive growth of 22.2 (%) in the last 10 years from (2002 to 2012). 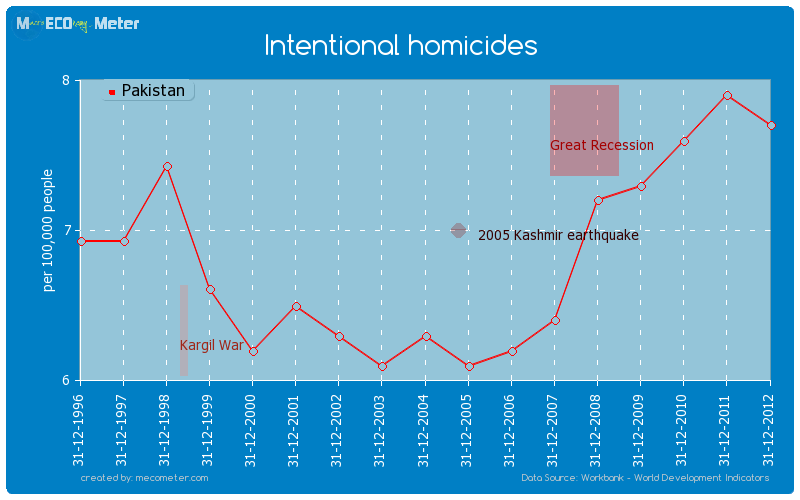 Last 10 years averagePakistan had an average Intentional homicides of 6.83 (per 100,000 people) in the last 10 years from (2002 to 2012).